Tips for getting the achievements and making it through the game in one piece. 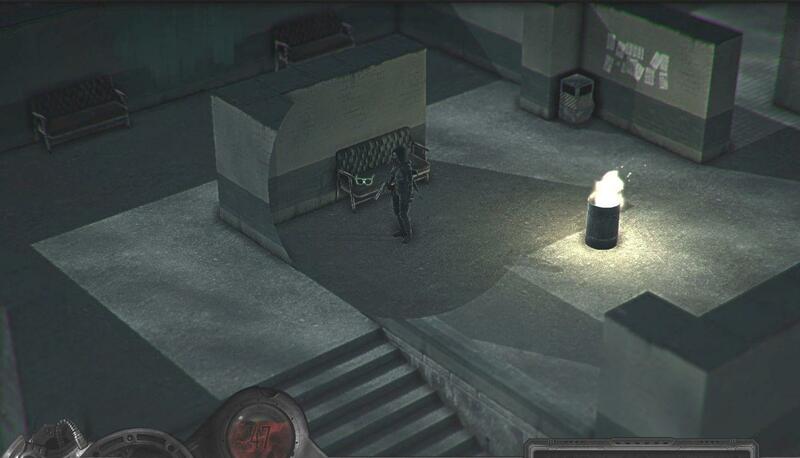 Westboro is a third-view-perspective cyberpunk shooter game with RPG-elements like inventory, skills and Exp grind. 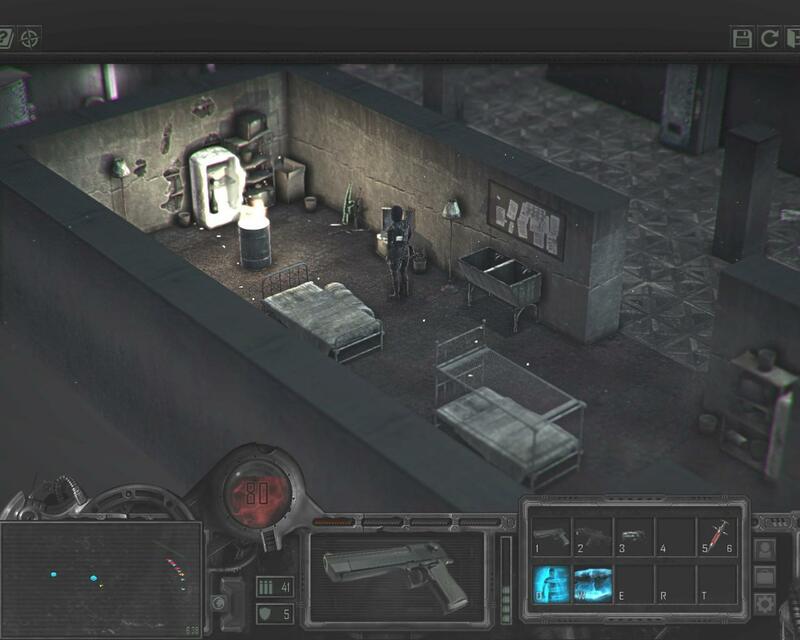 You can choose one of the three characters at the start of the game, each with some personal set of weaponry and skills unlocked. For the full completion of the game you're supposed to beat it 4 times. Minimum. One go for each of the three possible endings, one go for each of the three characters, and one more time for one of those characters with "New Game+". I strongly suggest to start the game in normal (or even easy) difficulty and make a quick level run with every character, to get familiar with them. While all of them are somehow balanced, I personally found it the most challenging to play with the Recon on hard difficulty setting thanks for his inability to sneak and quite mediocre health. Spectre can be sneaky and will take the most of damage of the all three variants, but he's quite slow. Valkyrie is the fastest, sneaky, and the best suited all-around character... For my point of view. You, however, may take things a bit different, so make your own choice for the first run through the game by yourself. Also, the very important thing at start is to make sure you're OK with the controls. You move, shoot and interact with the objects on the levels with your mouse, standing still (a must for shooting) with shift button, reload with left ctrl (or by clicking the weapon icon on the hud, or just reloading it via inventory screen)... And so on. Select the minimap in the left corner of the hud (instead of notations screen, which is not that helpful or fun anyway), and use your mouse to screen the level constantly. Pick up highlighted items, you'll need them. Keep in mind that blue dots on the map appears only at easy/normal difficulty, at hard you're supposed to look for everything without any help. Speaking more about your arsenal and inventory, you'll need to collect every weapon you'll meet, get the ammo from it and then drop it. There is no chance to sell anything in the game. 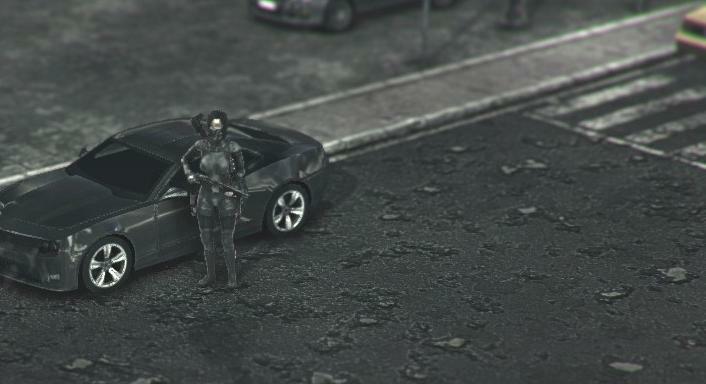 There'll be some "black market dealers" in the game course, but they're only selling. 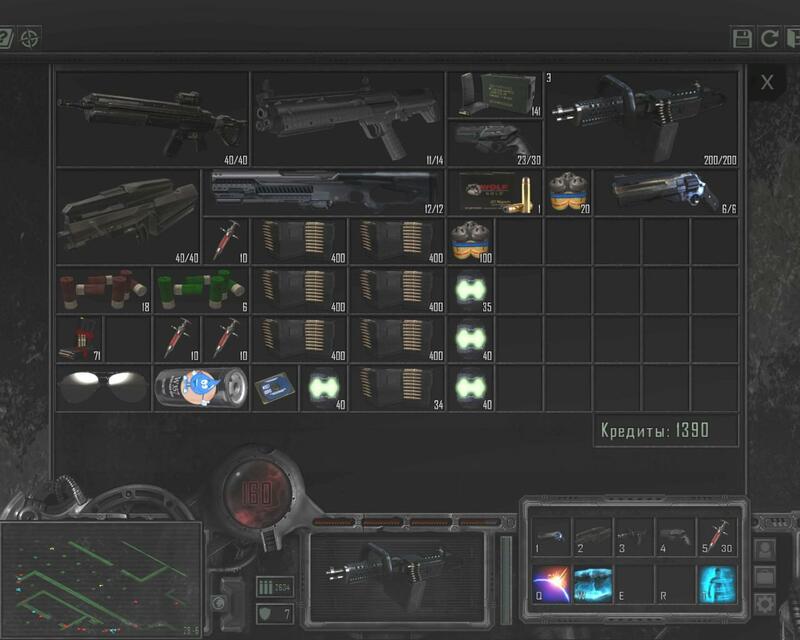 And every weapon they sell you can find somewhere by yourself, so use them only for some ammo replenishers, if you need to. 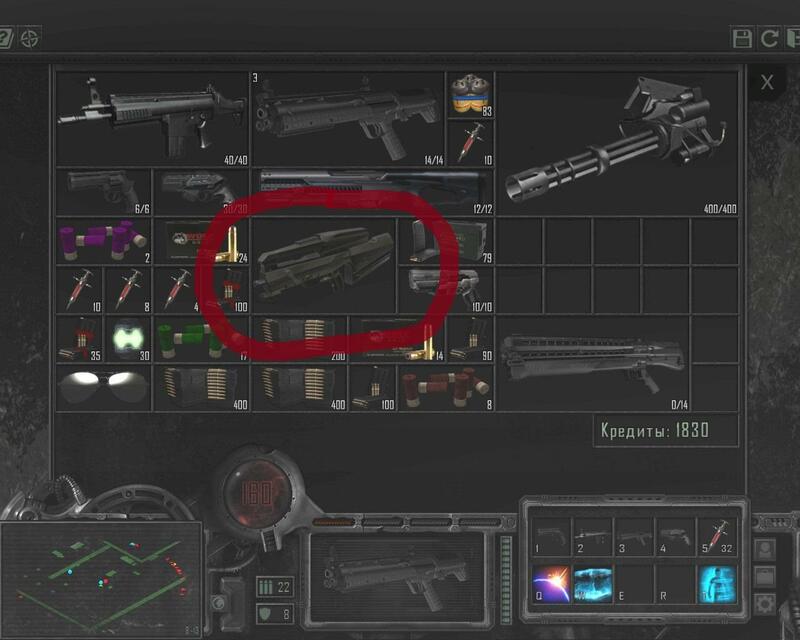 Keep in mind that you'll gather somewhere around 2000-2500$ during the game course, and you'll need 1000$ to unlock the most powerful assault rifle (you can pick it up in the office top floor in the second chapter, and then unlock it for use in the lowest level of the laboratory (same floor as dr. Holt, to the south of him, look for another scientist who can talk to you). Believe me, it's worth the trouble. And maybe you'll need 400$ for a bribe to customs officer, when you'll get the mission to free the helicopter (but that's not necessary, you can kill them all on the helipad instead and save some money). ...expect the mandatory ambush on the way back on track. Use skills! Cloak ("Stealth" skill) is the best, and shield ("Core") is the must in every dirty situation. Sometimes you'll feel some urge to use rockets or impulse ("Tornado"), but those are not some obligatory things that you have to spend your skillpoints. "Mine" skill is worthless. There are 17 achievements in total. 5 of them (all branded "Exterminator") are simple cumulative, you can take them all in a single run through the game without any special effort. Well, maybe "Exterminator 1" might need some more specific actions, since it is about squashing rats and beetles who are not really enemies, and just moving on the levels here and there, to add some slums fleur... Just squash them like in the Torchlight or similar action-RPGs. On the hard difficulty you'll see them on your radar with the same red mark as real enemies, so you can hunt them. The prologue and the 1st level contains enough of those squashy things to fulfill the achievement's completion bar. 3 achievements are about beating the game on the certain difficulty. The Slaughter Begins - you'll get after any first completion, on any difficulty, with any character. Live and Learn - for the completion on Medium difficulty. Destroyer of The Worlds - for the completion on Hard difficulty. 3 achievements (Spectre, Recon, Valkyrie) are about beating the game with the specific character. 1 more achievement (Home Run) is about finishing New Game+. Obviously, you need to beat the game at least once, to keep it going for the second time, with all the weapons and skills unlocked. 1 achievement (Fashion Time) is especially meant for Valkyrie. On the first level you need to find the glasses. They can be found in the one of the 4 or more places. Еvery game is hiding them in different location. 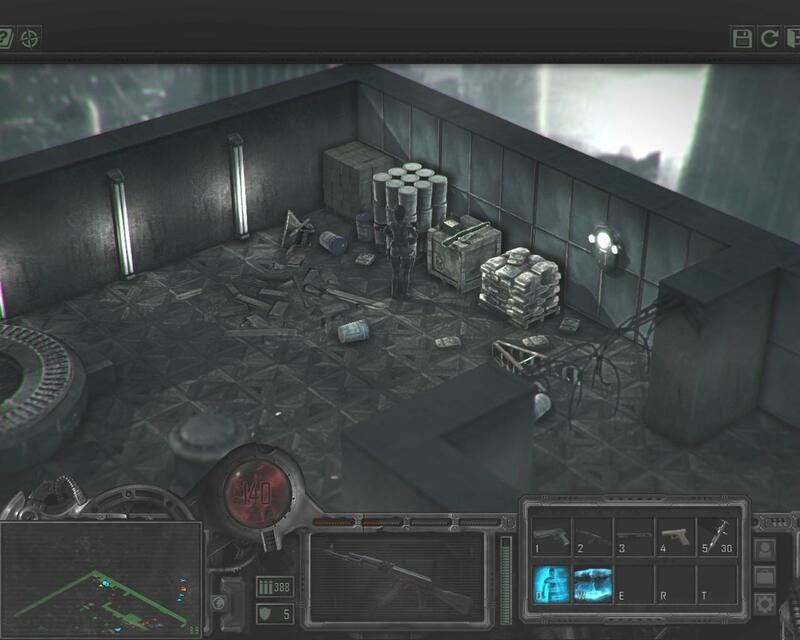 it might be the house with merchant and bandits, like on the screenshot, or in the SWAT-occupied warehouse, or in the club or even police station... Good luck with search! Now, once you'll find those glasses, you can return them to the "old woman" (always standing left of the club, NW corner of the map). But with Valkyrie, you can just take'em with you to the next level (apartments). Once you'll made it to apartments with glasses in your inventory, this achievement is yours. Finally, 3 achievements (War, Famine, Plague) are about specific endings, and that's the most interesting part. You see, while the game itself is pretty linear and similar for all characters, there are some key points where you can change the ending sequence. All of those key points are missable, you can just sweep through the levels without noticing it. First key point is in the Nova's apartments. 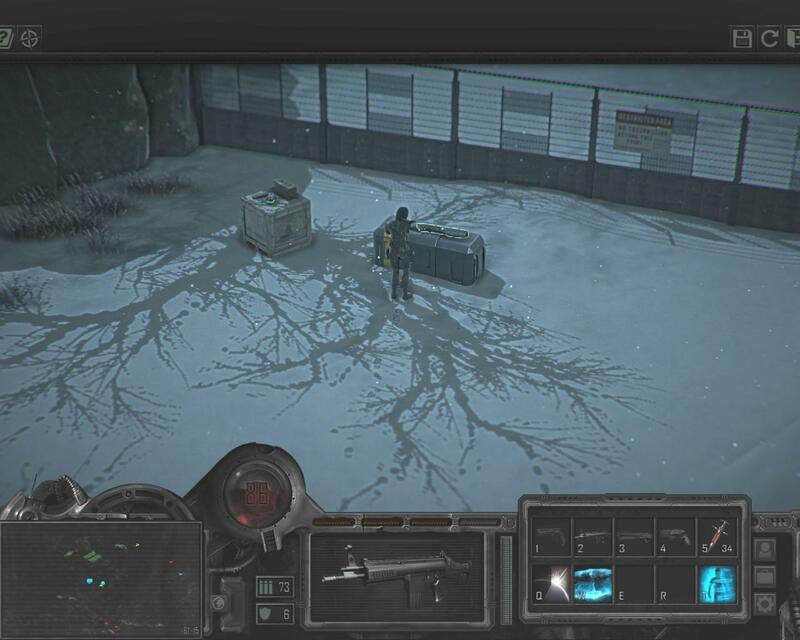 You need to be inside when the phone rings, pick up and listen Nova's report until the words "look for the doctor Daniel Holt..." Second key point is in the laboratory (the third floor of it, I believe), when you meet that doctor Holt (somewhere in the center of that level). If you've talked to the Nova previously, the doctor will be more willing to cooperate. He'll give you the disk (quest item #1), and you can take W357 water filter (quest item #2) in the same room. After the conversation, you can kill him or leave him be. Now, you can give that #1 disk to Barnaby on the warhouse first level (after you'll run from sewers in chapter IV), but I suggest to keep it for later. Third and the last key point is on the last level of the corporate building, before you'll go to the roof and the final battle. There, in the SW corner, will be another key figure, Walter Matthews. You can give him the disk, or not, and kill him, or not. To achieve Famine ending, you need to take the disk from the doctor Holt, kill him, then give the disk to Matthews and leave him be. To achieve War ending, you need to take the disk, keep it to yourself for the end of the game, and kill Matthews. To kill or not to kill doctor Holt is up to your consciousness. Plague ending is the easiest to get - you can just walk past those key events, without touching the disk and filter or killing Holt or Matthews. Well, I've killed Matthews anyway, just didn't liked him from the first sight.